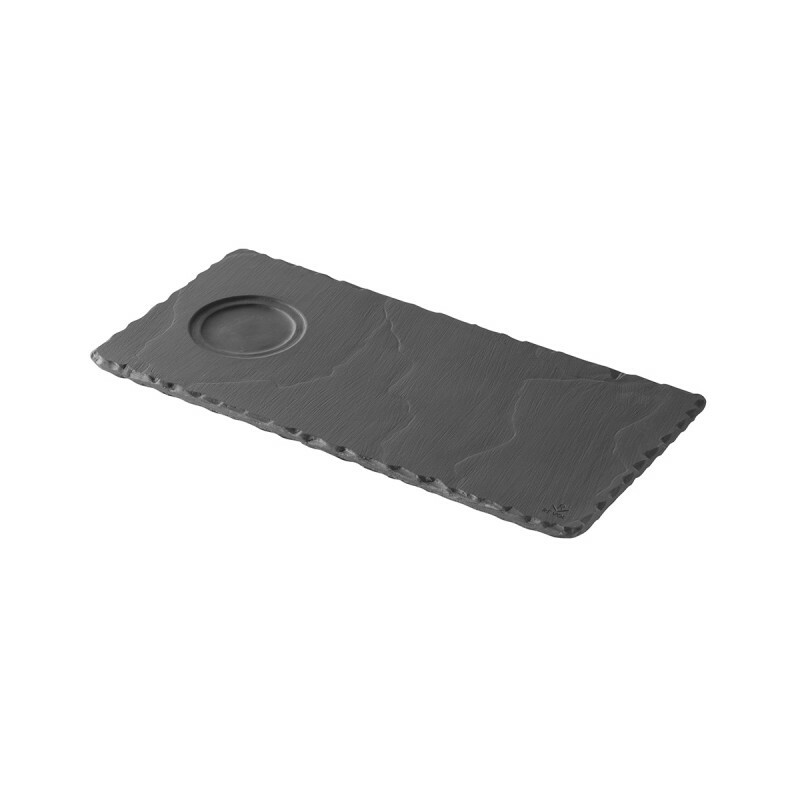 Rectangular Tray with 1 indent. 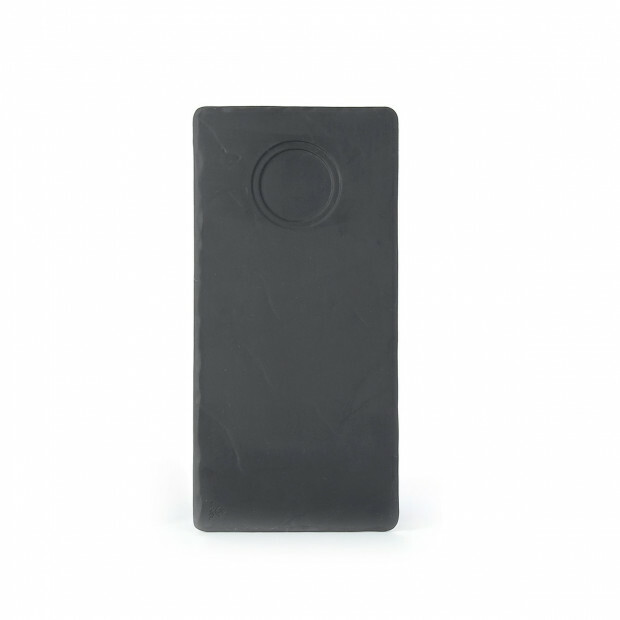 Black ceramic. 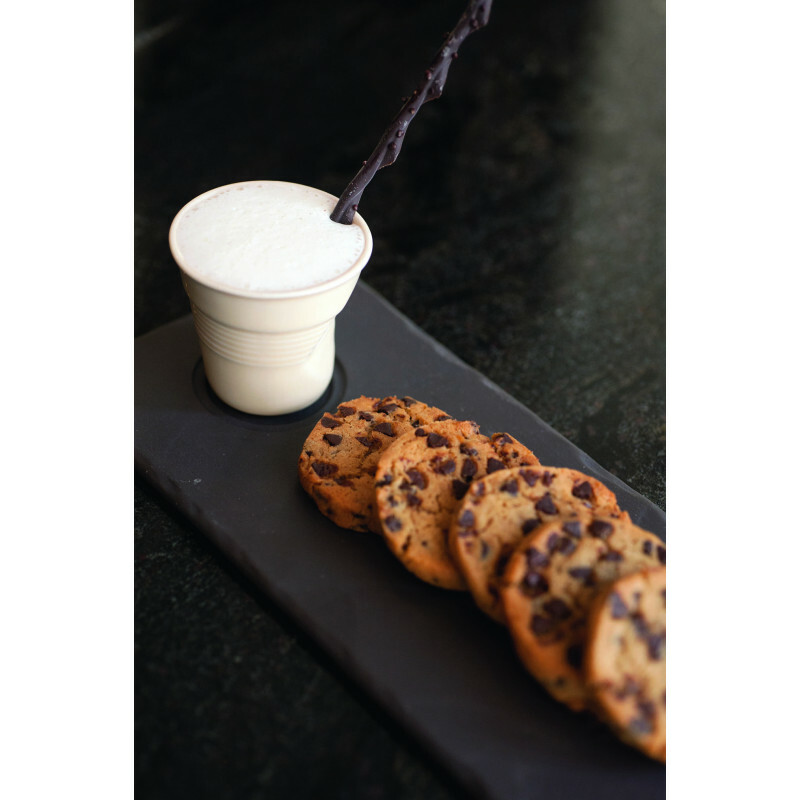 Whether you want an espresso or a cappuccino, this serving saucer is for you. 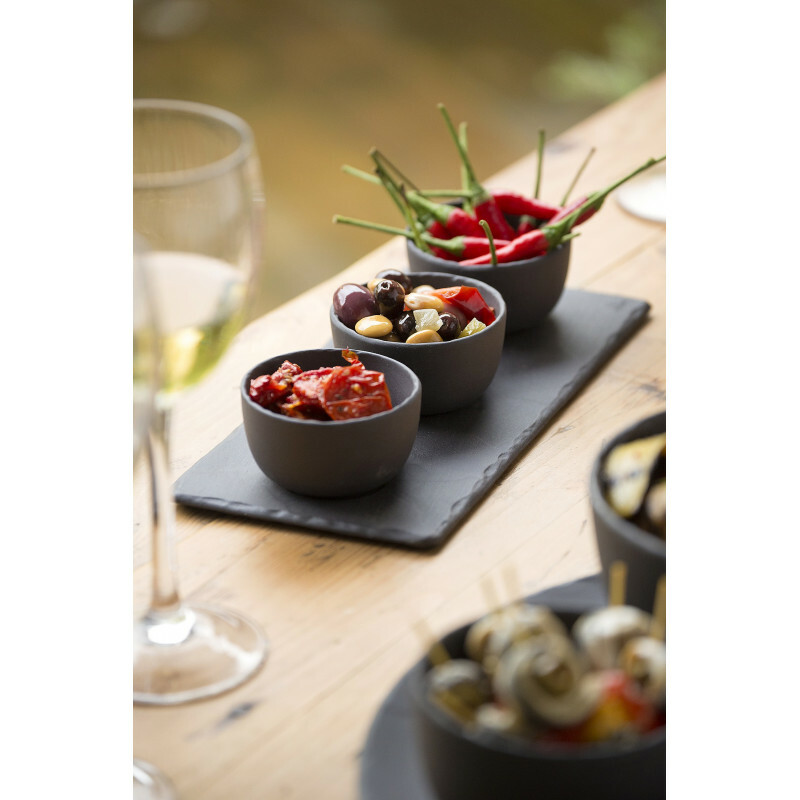 This Basalt rectangular platter with one indent, imitates slate stone and makes our colorful 2 ¾ and 6 ¼ oz Crumple Cups pop. 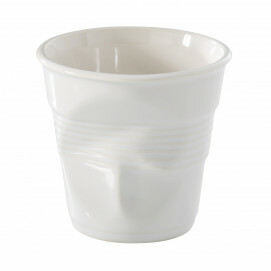 Made of Revol black porcelain, it is microwave, freezer, oven, and dishwasher safe for your convenience. 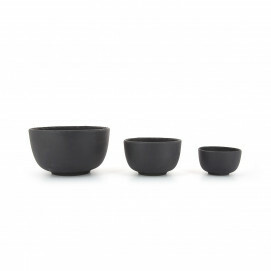 You can also use it as a platter for entertaining purposes like cold appetizers, small bites, hot or cold, and pair it with Basalt mini bowl for an original olive oil tasting for example. 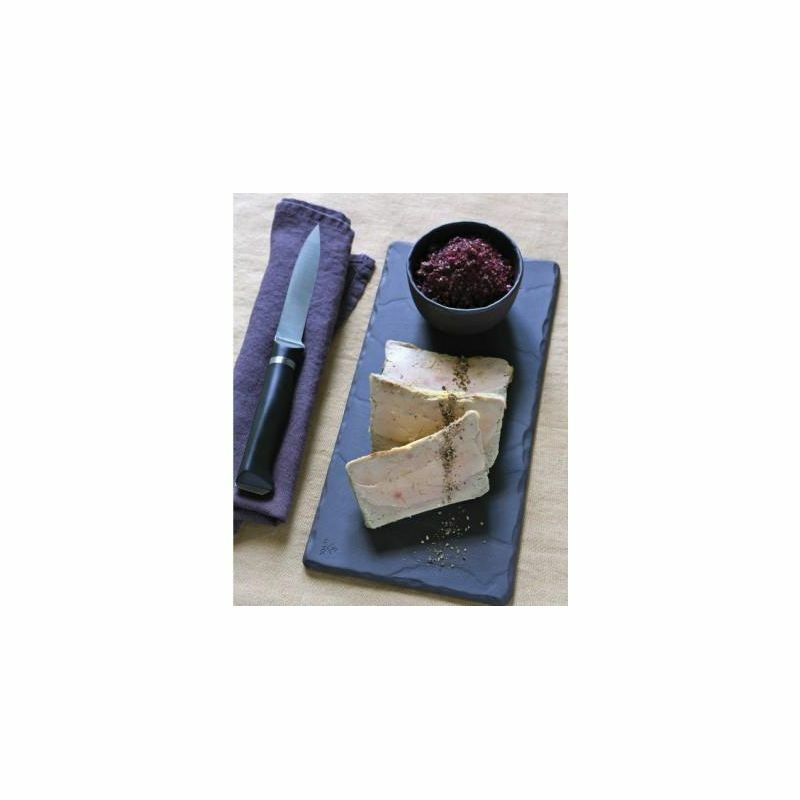 Don’t fear chipping as this platter is black all the way through. Good for outdoor use. One platter for several serving options.